The new Zelebro is an absolutely top class blade, only the best materials are used. This 7-ply offensive miracle develops explosive and direct power without losing control. Bat comes complete with the blue aluminium box. 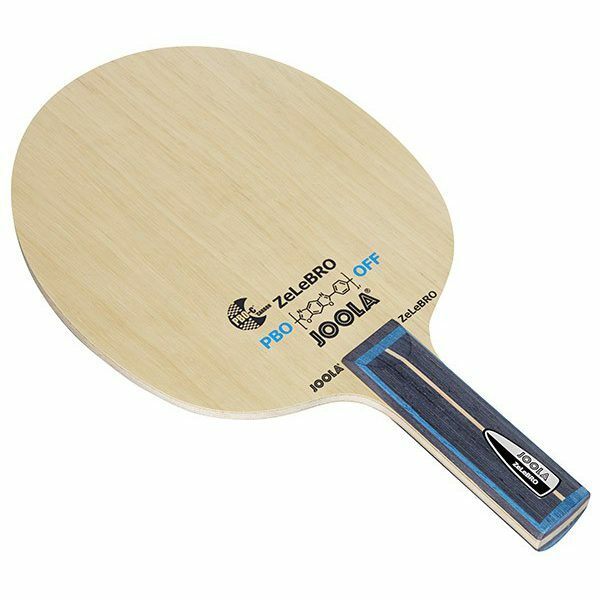 Top class 7 ply PBO blade which develops explosive and direct power without losing control. 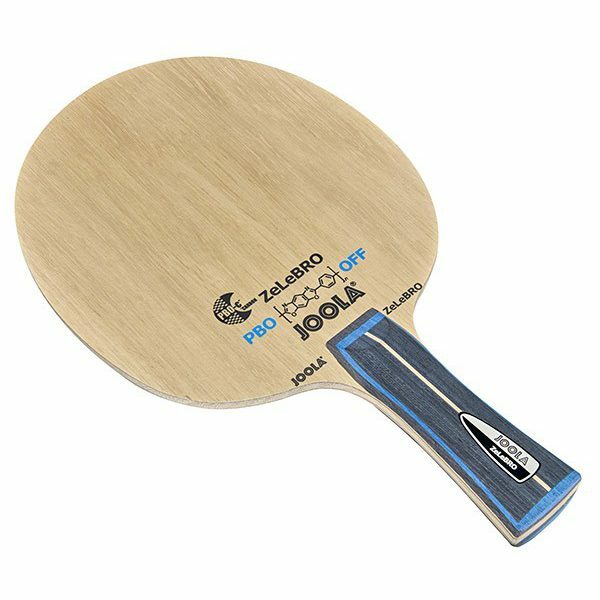 The PBO plys are positioned directly under the limba outer veneer and the result is a lot of dynamics and flat trajectory. 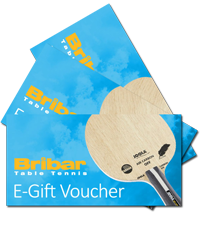 The vibration dampening effect and even bounce are ideal for players performing a precise attacking game. 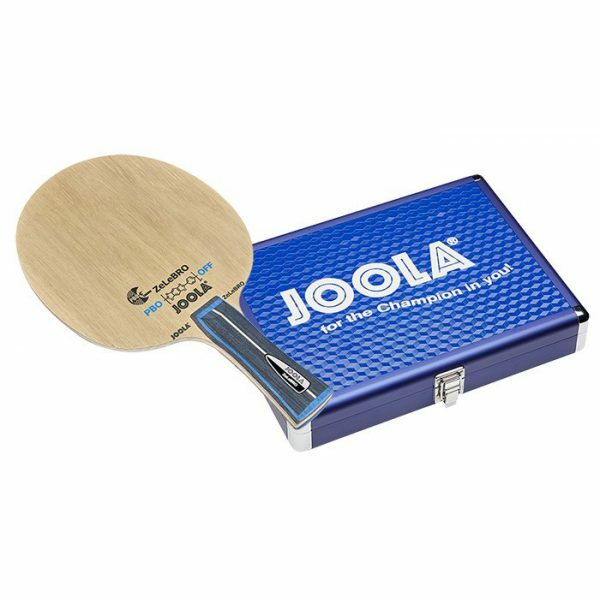 Supports you in every playing situation – exactly what you expect from a blade! 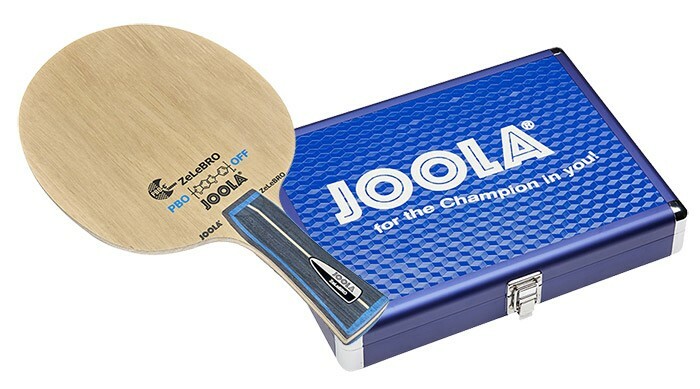 PBO Carbon – High Tech fibres for unique playing features. 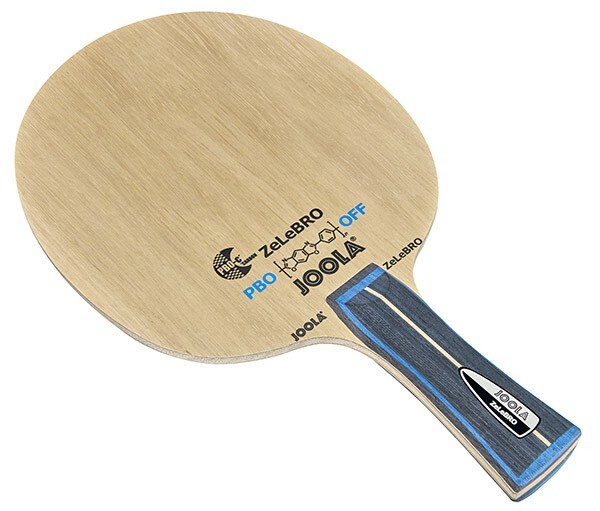 PBO fibre used in high tech formula 1 sports and the aeronautical industry has also been shown to provide unique playing features for table tennis blades. 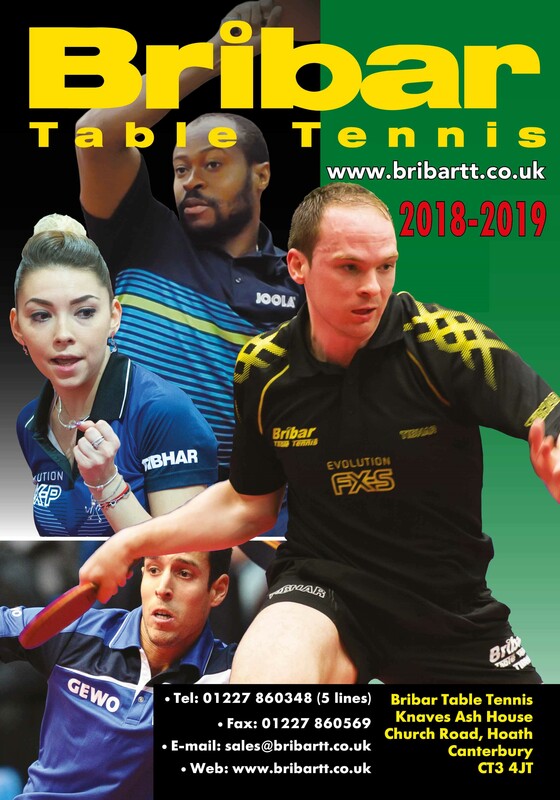 The chessboard very expensive PBO pattern provides elasticity, stability and a softer stroke feature and combined with the enlarged sweet spot and consistent bounce reduces error rate.